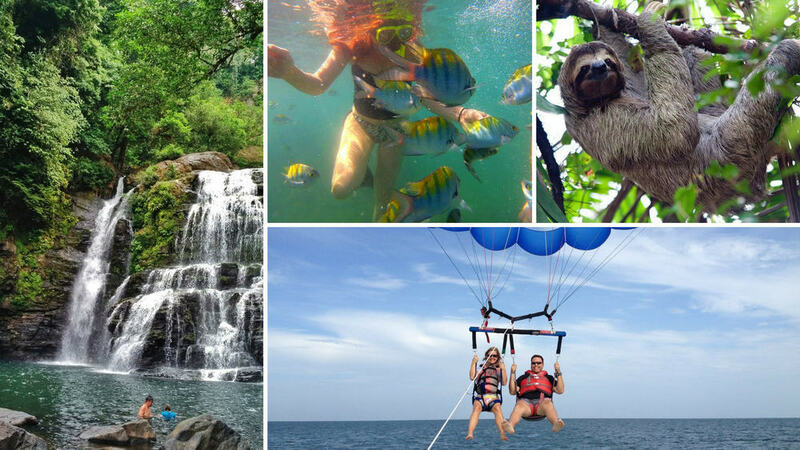 Welcome to Things To Do In Manuel Antonio. Things to do in Manuel Antonio is an online website created by local Costa Ricans, dedicated to offering the best tours and activities in Manuel Antonio, Costa Rica. 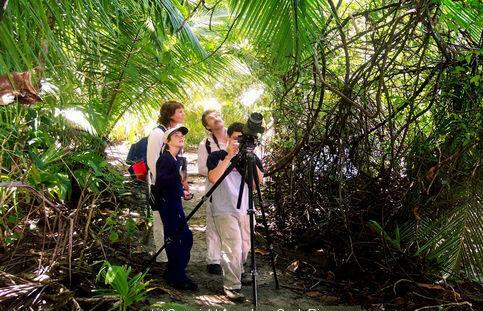 Here you will find all the excursions that are available in the area of Manuel Antonio. Our goal is to ensure that you experience the best tours while visiting this beautiful rich coast. The things to do are divided into different categories such as mountain and ocean activities. 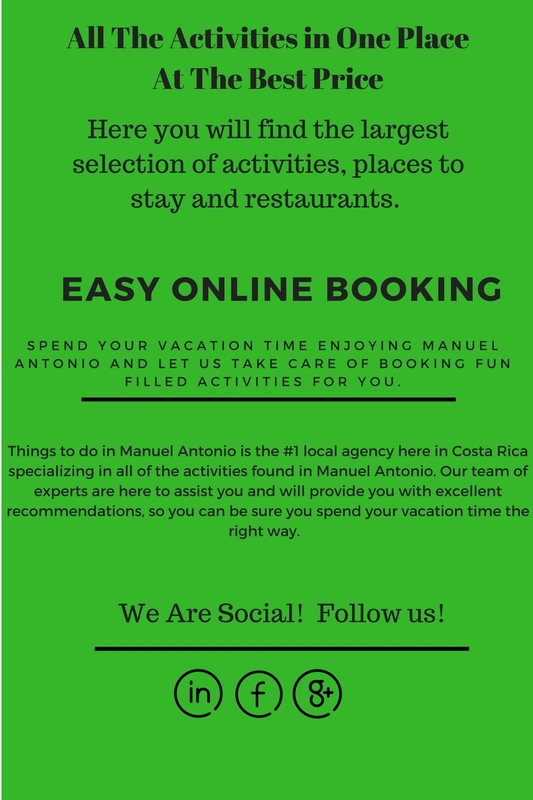 If you are wondering about what are some of the things you can do here in Manuel Antonio, Costa Rica, we recommend you go to our Menu and put your mouse over where it says ¨Things To Do¨. This will provide you with a wide range of categories in which you will find each respective activity. Once you have selected one or several activities, send us an email and we will get back to you within a few minutes, it is that easy. There are so many things to do in Manuel Antonio, that it can be a little overwhelming, trying to decide how to best spend your precious vacation time. You certainly don’t want to waste both that time and your money on activities, which don’t fulfill your desire for an unforgettable stay, in this Tropical Paradise. Even the search can be both time consuming and a little exhausting. We here at Things To Do In Manuel Antonio provide the solution. We were born and raised here, and have been involved with Tourism for over 20 years. We know the owners and operators of almost every tour company here, and have personally experienced virtually every activity available. That makes us uniquely qualified to select the very best, most professionally run, tours. If we recommend it, you can be assured that it is a safe, fun and rewarding experience, at a competitive price. We also make your booking easy and stress free. We are completely bilingual and can communicate effectively with our clientele, equally in Spanish, or English. 2 days of fun packed tours. It was myself and my two boys traveling to Manuel Antonio. We reserved the horseback waterfall adventure which was amazing. The views of the mountains are wonderful and the best part was getting to swim in the waterfall. The next day we did an afternoon jet ski tour from the marina in Quepos. The guide Luis was very friendly and we got to see dolphins. All around an excellent service and very professional crew. If you don’t know what to do in Manuel Antonio, check these guys out, they are the best. Large group of 12 people trying to plan excursions on our vacation to Manuel Antonio, Costa Rica in mid June and we really had no idea what to do. Searching online we found Things To Do in Manuel Antonio a local Tour Company who put us on the best tours in the area. We enjoyed the ATV waterfall tour, jungle night hike, mangrove kayaking and parasailing from the local beach in Manuel Antonio. Every activity was very easy to book and the staff was there to answer all of our questions. We highly recommend using Things To Do Manuel Antonio to book all of your excursions in Costa Rica. They’re the best I’ve ever had. The tour guides were very friendly, attentive & were pampered every step of the way. We’re never rushed the experience and felt like it was customized just for us. The tour and our activity experience are definitely worth every dime and we’re very pleased. Thanks for the memories, Things to do in Manuel Antonio team. Had an amazing time @ Things to do in Manuel Antonio recently. The activities we enjoyed much are the rafting, canopy zip line and parasailing, it was so fun. Their crews were so friendly, professional, and knowledgeable during our activities and travel. – Gave some necessary tips and advices to have a safe and wonderful time. We so much enjoyed it and we’re looking forward to return and have a great time again. My family and I traveled to Manuel Antonio, Costa Rica in late April and we used Things To Do Manuel Antonio to book all of our excursions. The staff is very helpful and they put us on the best tours with really competitive prices. We enjoyed not having to search around to find the different activities offered in the area of Manuel Antonio. This company offers all the excursions and an easy stress free way of booking, so we had more time to relax and enjoy our vacation time in Paradise. The ATV Tour is performed in a town very close to Manuel Antonio just about a 15 minute drive and remember that round trip transportation is included so you don´t have to worry about getting to the ATV Spot. 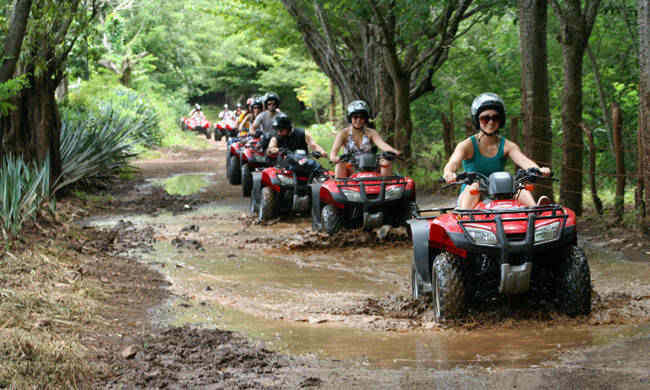 You have the option of booking a Single ATV or a Double ATV. The four wheel drive adventure is packed with Fun as you get to ride on muddy road and also visit a beautiful waterfall where you can enjoy swimming. 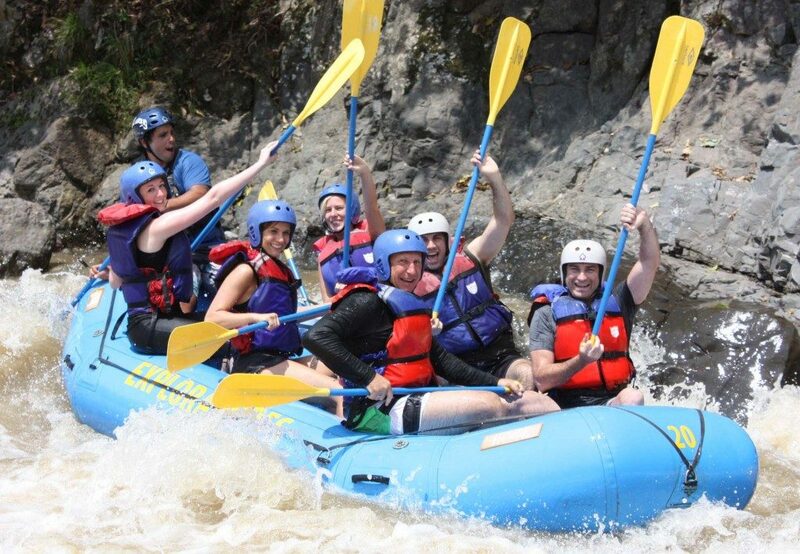 White Water Rafting in Manuel Antonio, Costa Rica is done in the near by rivers of Savegre and Naranjo which provide awesome rapids for those who are complete beginners as well for experienced rafters. The best time to go white water rafting is from May through November as this rainy season in Costa Rica and this causes the rivers to have more water which in return means better rapids with more adrenaline. You can book a half day, 3/4 day or a full day white water rafting tour. All of the rafting gear is provided for adults and kids. This is an action packed tour and gives you the chance to view two famous rivers of Costa Rica. 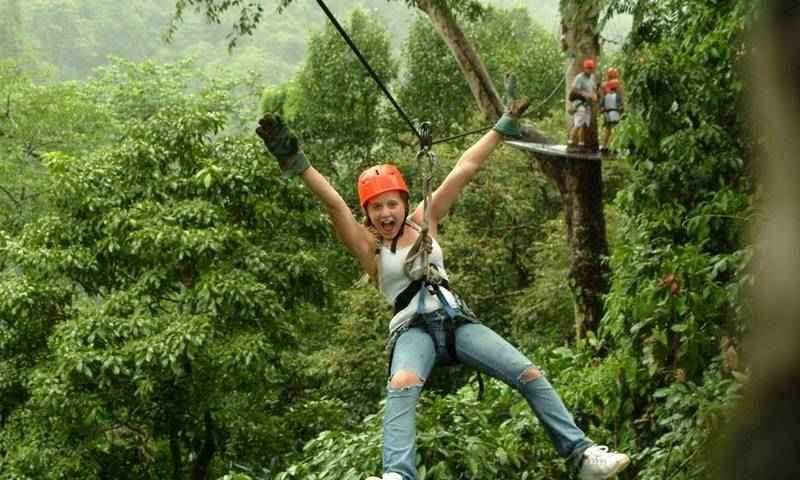 Enjoy a fantastic Zipline Adventure in the Jungle Forest of Manuel Antonio, Costa Rica. The canopy zipline tour provides you the chance of viewing some of the most lush forest areas of Costa Rica and it is packed with a lot of fun for adults and kids. Getting to ride one of the Longest Ziplines in Central America has to be one of the most adrenaline packed activities you can do while staying in Manuel Antonio, Costa Rica. Plus you can enjoy beautiful nature walks where you can see different animals and the canopy tour also offers hanging bridges which are an extra fun activity for you to enjoy. 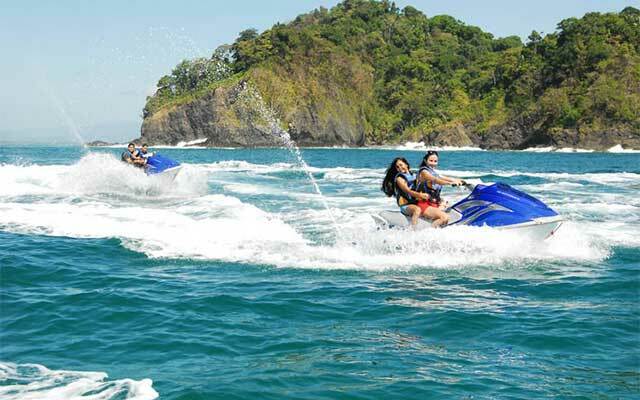 The Jetski Tour around the coast of Manuel Antonio is not only incredibly fun but also provides beautiful views of the entire coast of Manuel Antonio, Costa Rica which includes viewing several islands near the coast as well as several local beaches. You can also have the opportunity to view dolphins and other marine life during the Jetski Tour which makes even more worthwhile to book this awesome excursion. Feeling the cool fresh breeze as you ride your Jetski around the beautiful Manuel Antonio Coast is going to be a true thrill. You can reserve a 1 person Jetski or a 2 person Jetski. The tour begins from the Marina Pez Vela and the total tour time is around 2 hours and 30 minutes. 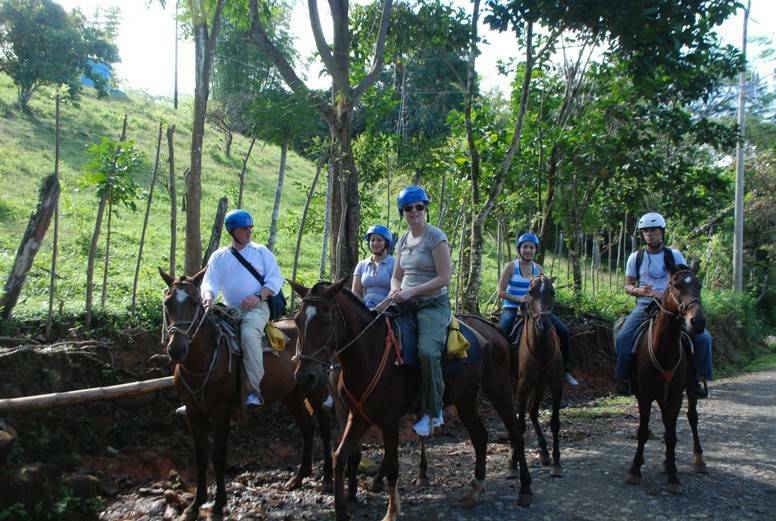 During the horseback riding tour in Manuel Antonio you are with a Local Guide who will explain to you about the area and also tips on how to properly ride the horse. The total time for the Horseback Tour is around 4 hours. The catamaran tour in Manuel Antonio, Costa Rica offers you the chance of going in the morning from 8:30 to 12:30 or the Afternoon Sunset Cruise from 2:00 to 6:00 p.m. This is a fantastic way of exploring the entire coast of Manuel Antonio which provides beautiful scenic views. 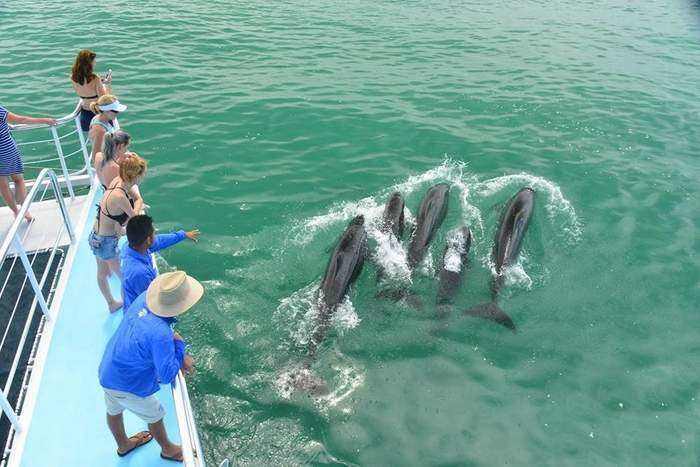 During the catamaran Manuel Antonio Tour, you have the chance of viewing marine life such as Dolphins and Whales (depending on the season) plus a wide variety of birds and when you go Snorkeling you can see more than 7 types of small fish that live in the coral reef. You have the option of booking a 50 ft Catamaran with a waterslide or a 56 ft Sailboat. 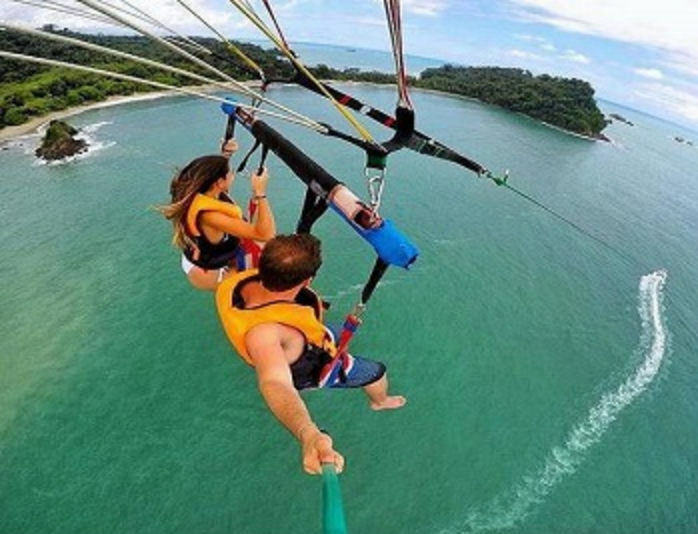 Going Parasailing around the Beautiful Coast of Manuel Antonio will give you a Unique View of the area, one which you won´t get from any other activity or excursion. You will reach heights of up to 600 ft so this is a favorite amongst those who seek an adrenaline packed tour. The Parasailing tour is between 15 to 30 minutes total and the maximum amount of passengers per tour is 3. There is a full policy that covers you during the entire Parasailing Adventure. The safety equipment is Top of The Line and the Newest Technology to ensure you are Extra Safe and feel comfortable while having the time of your life. For more information, head over to our Parasailing Page. One of the first things that you are going to do is visit the main beaches of Manuel Antonio, Costa Rica. You will find that the beaches of Manuel Antonio have a lot of things for you to do. There is always the option of going to the beach to relax, read a book and enjoy the sunshine. However, for those who wish to have information on what to do at the Manuel Antonio Beach, below you will find this information. Take some fun surfing lessons. There are several things to do in Manuel Antonio at night but I will start by saying that Manuel Antonio is a very family oriented place, so the night life is perhaps not as active as other places in Costa Rica. For the night life in Manuel Antonio, you have the option of visiting some of the best restaurants in the area for a fine dinning experience. There are several night clubs where you will have a chance to interact with the locals. Most of the night clubs are located in Quepos, which is 5 minutes from Manuel Antonio and you will have to visit Quepos if you are interested in going to a fun night club to enjoy dancing and loud music. We understand that traveling is expensive and believe me when I tell you that Manuel Antonio is not a cheap place to come and stay or to do activities. However, there are a few cheap things to do in Manuel Antonio. 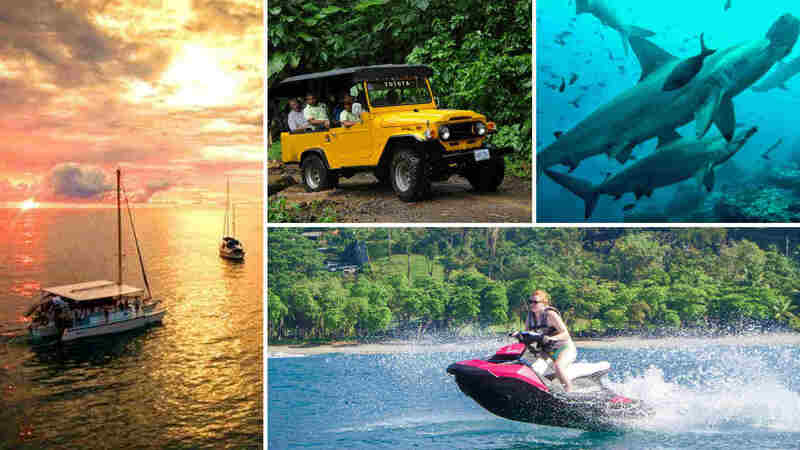 These activities will fit perfectly in your budget and will allow you to enjoy a great deal of Manuel Antonio and its many activities under a budget. Our analysis of the activities in Quepos, Manuel Antonio, Costa Rica begins with the observation that the two most outstanding natural attractions here are the Manuel Antonio National Park and the Pacific Ocean. It is there that you will discover the beautiful beaches, and the world class Big Game Sport Fishing. In addition, there are many waterfalls near the area of Manuel Antonio. There is so much to do it really is a great place to come and visit for people of all ages, it has something for everyone. Everything is so close, it is one of the advantages of Costa Rica being a small country but yet packed with some much diversity in its activities. 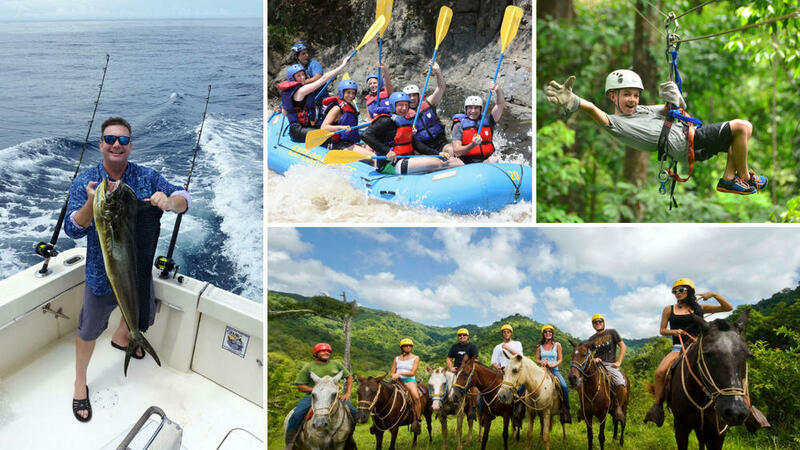 Think about it, you have white water rafting, canopy zip lining, mangrove fishing, parasailing, catamaran tour, sport fishing, jungle hikes, surfing, horseback riding, waterfall repelling, and the list just goes on and on…. So, what are the “must see” and “must do” activities, for visitors to Manuel Antonio? The “short list” starts with The National Park, with its incredible variety of flora and fauna, It is something truly unique, and should top any list of things that you don’t want to miss. After all, how many places in the world offer you an opportunity to stroll through a beautiful, natural tropical forest, observing 3 species of wild monkeys, tree sloths, giant iguanas and countless varieties of plant life? It’s like a trip to a zoo, without the cages. We can recommend the best, most knowledgeable and interesting guides, who will help you to maximize this enchanting experience. Most people will want to make every effort to be sure to include those two unique and rewarding experiences. 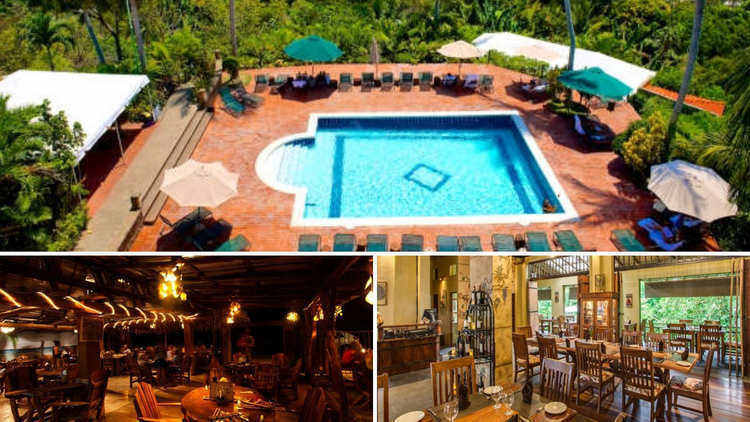 In addition to recommending a wide variety of excursions, for people of all ages, you can also find recommendations for restaurants, hotels and villas, all located in Manuel Antonio. Manuel Antonio is a true jungle paradise. Its ocean views and beautiful beaches are just a few of the many natural and amazing things that make Manuel Antonio such an appealing place to visit. Thins to do Manuel Antonio is here to help you have the best vacation possible by providing you with the best tours at the best prices. 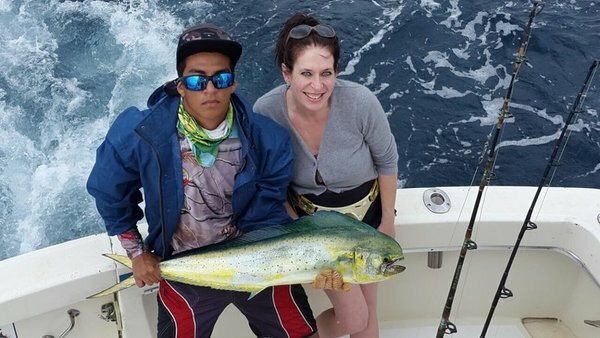 The amazing Big Game Sport Fishing, found just a few miles off shore, brings seasoned anglers from all over the world. In fact, several of the biggest International Tournaments are held here, where record numbers of giant billfish are caught and released. If you are ever going to experience the adrenaline rush of reeling in a giant fish, this is the place to do it. You may never catch another big fish, in your life, but it’s something that almost anyone who has the experience will enthusiastically state that it was a thrill of a lifetime. We can recommend the best boats and crews for your exciting adventures at sea. Every marine activity will likely include dolphin sightings, which everyone seems to love.